Not since Russia’s annexation of Crimea in 2014 have we seen something like this: The foreign ministers of Norway, Denmark and Iceland speaking of peace and cooperation while visiting Russia – and Sweden’s foreign minister only missing because of illness. 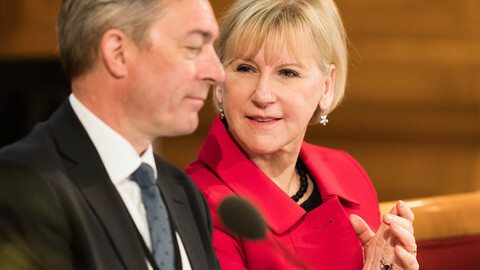 Since Crimea and Russia’s involvement in the unrest in eastern Ukraine, the Nordic countries have been staunch supporters of sanctions against Russia. These countries say they stand strongly behind the West's pressure on Russia. However, the foreign ministers clearly demonstrated just how keen they are to keep diplomatic channels wide open - with their personal presence in Arkhangelsk, in northwestern Russia, on Wednesday (29 March) - and using a major Russian conference on Arctic development as a convenient venue. The international event that will bring together officials from many different countries is titled: “Arctic: Territory of Dialogue’ International Arctic Forum”. “Denmark has a two-pronged approach, where we remain hard and unwavering on issues like Crimea, where Russia is clearly breaking the rules, while on other issues we continue our dialogue," Danish foreign minister Anders Samuelsen told EUobserver on the plane from Copenhagen. "The Arctic is very important to Russia and we agree very much that the Arctic should be maintained as a region of low tension and cooperation." Samuelsen is the first member of the Danish government to visit Russia since 2014. On Wednesday, the Nordic foreign ministers will dine with Russia’s foreign minister, Sergei Lavrov. Russian president Vladimir Putin is expected to address the conference on Thursday, where the presidents of Finland and Iceland are also expected. Norway’s foreign minister, Boerge Brende, stressed how the Arctic countries, including Russia, have found “remarkable ways to work together”. He reminded the audience how Norway and Russia have successfully and jointly managed fish stocks in the Barents Sea for decades. 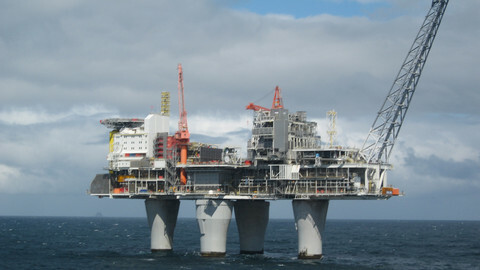 Arctic development and peace is a top priority in Oslo, the Norwegian capital. Norway shares an Arctic border with Russia’s heavily militarised Kola Peninsula, and the relationship has been increasingly bumpy for some time. But Brende stressed how the two countries shared an interest in safeguarding peace and sustainability in the Arctic. Finland's president, Sauli Niinitsoe, who met with president Putin last year, is expected Thursday at the international conference. The conference has attracted around 1,500 officials, mainly Russian, and business leaders to Lomonosov University. It is situated in Arkhangelsk on the White Sea, a southern inlet of the Barents Sea, which is located on the northwestern coast of Russia. Before travelling, president Niinitsoe told the media how climate change in the Arctic provides common ground with Russia. 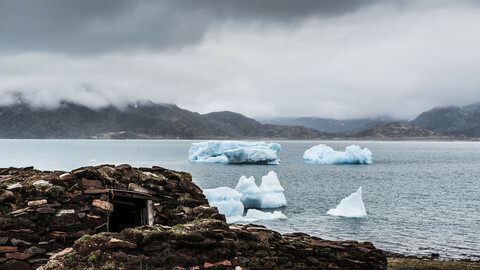 The Russian news agency, TASS, quoted the Finnish president as saying: "This global phenomenon has been confirmed by science, but its influence is most acutely felt in the Arctic right now." "It is important for us to take this problem seriously and work together to solve it". 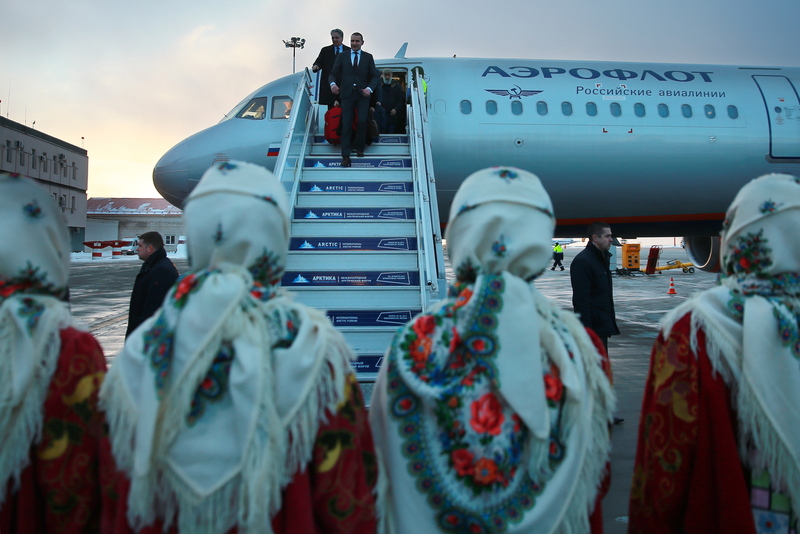 The need for deft diplomatic balancing in Arkhangelsk was evident from the very beginning. Russian deputy prime minister Dmitry Rogozin officially hosts the conference, and spoke just before the Nordic dignitaries. He is the chairman of Russia’s Arctic Commission, a body overseeing development in Russia’s vast Arctic regions. In 2014, the EU and the US added Rogozin to their lists of Russian officials banned from travelling to the West and from using western banks. They cited his support of Russia’s annexation of Crimea, but at the meeting in Arkhangelsk the dialogue seemed untroubled. The need for Arctic cooperation seems to iron out such hurdles - as long as the talk remains on Arctic issues. 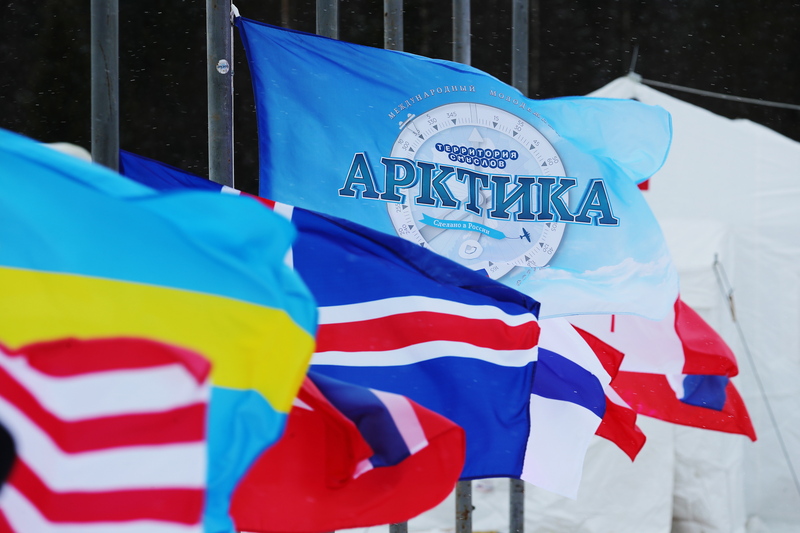 The Nordic countries already cooperate closely with Russia in the Arctic Council. 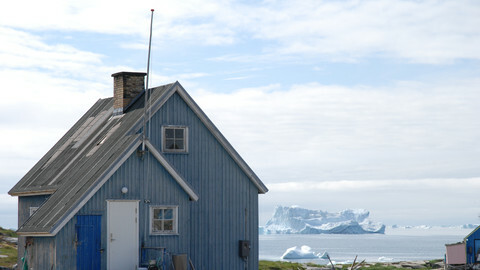 Denmark, with its sovereignty over Greenland, is keen to preserve the Arctic as a “zone of low tension”. Denmark and Russia claim large and overlapping tracts of seabed in the Arctic Ocean. Meanwhile, Iceland, a booming tourism and transport hub in the North Atlantic, wants to develop its marine resources in the waters that are also exploited by Russia. Additionally, Iceland sees increased Arctic shipping through Russia’s Northeast Passage as a potentially strong source of income. At the same time, half of the four million people living in the Arctic are Russians, and Russia would deeply like to develop its Arctic treasures - oil, gas, minerals, fish and the Northeast Passage to link Europe and Asia. 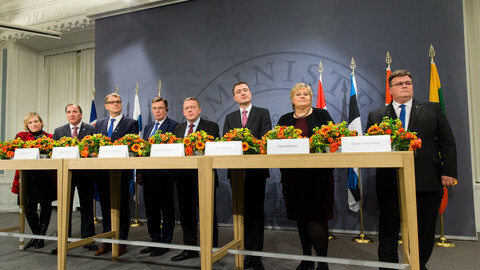 Diplomats at the conference said that Russia’s plan to lay down new gas pipelines to the EU - cutting through Danish and Swedish waters, in the so called North Stream 2 Project - was not on the agenda, even if the project remained a major headache in both of the Nordic countries. Copenhagen and Stockholm are reluctant to facilitate a major increase in Russian gas exports to the EU, in the assumption that this would be used for political gains by Russia, but they have found little common ground or support on the issue in the EU. 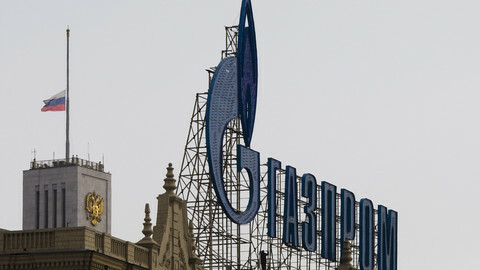 Arguments put forward by Nord Stream 2's Brussels lobbyist in defence of the Russian-led project are not consistent and ignore some basic facts. 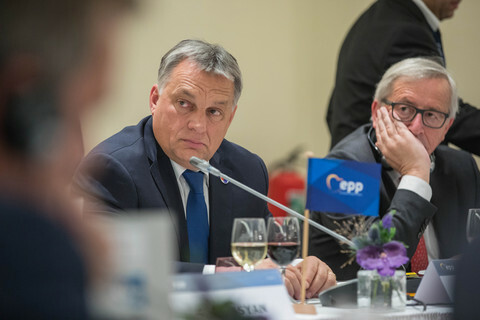 Nordic states have joined Poland and others in calling for an EU-level decision on Nord Stream 2 - Russia's divisive gas pipeline. US president Donald Trump has upset many of the values dear to Nordic nations. But the region lacks common strategies for how to stand against the US president.